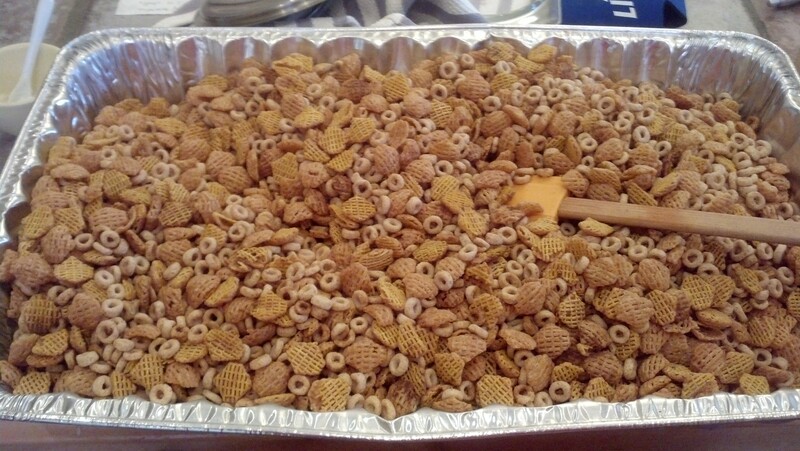 In preparation for Sunday’s NFL football game between the Saints and the Jets, I made a double batch of my version of Chex Mix which I call Circles and Squares. 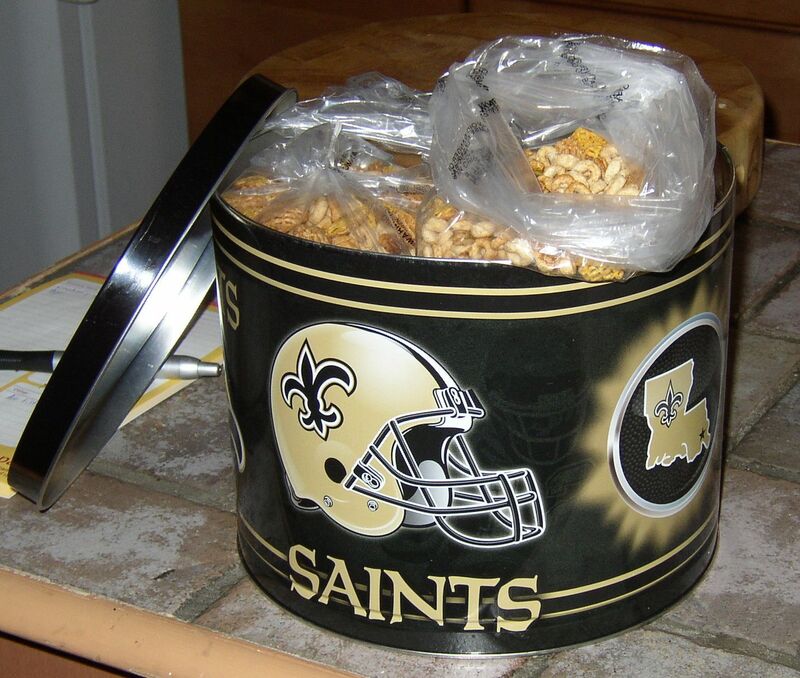 I’m not a fan of the peanuts and pretzels, so mine is all Crispex and Cheerios. While my boys lost the game, the hot, buttered and seasoned cereal was quite delicious. Stir cereal in a large roasting pan to mix. Combine rest of the ingredients together and pour over the cereal, stirring well to coat evenly. Bake 1 hour in a 250 degree oven, stirring every 15 minutes. Cool 15 minutes. Store in airtight container.